Have you noticed that a new listing or listing changes have not been updated on your real estate site? Here is why! In some cases when a new listing is published or changes to a listing have been made, they do not update on your website right away. This is due to caching in the EstateVue plugin. Does caching prevent new users from seeing my new listings? No, any new visitors to your site will download a fresh / new copy of your website, allowing them to see the new information. Caching only affects websites that have been to your site before. How long does the cache last? The cache is currently set to 24 hours, but it can be modified in the admin for lower increments to minimum value of 1 hour. 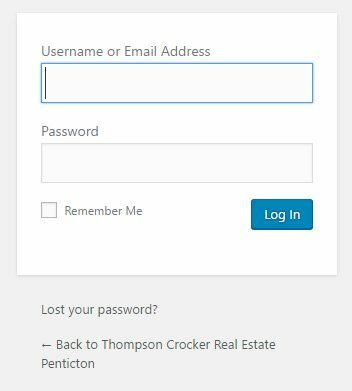 Login to the backend of your WordPress website. 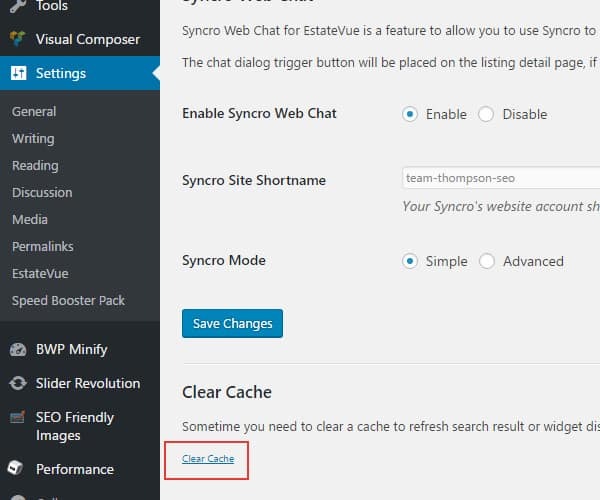 Hover over "EstateVue" in the left hand menu and click on "Settings"
On the "Settings' page scroll down to the bottom of the page and you will see a link that says "Clear Cache." Click that link. The cache will now be cleared and the page will reload. 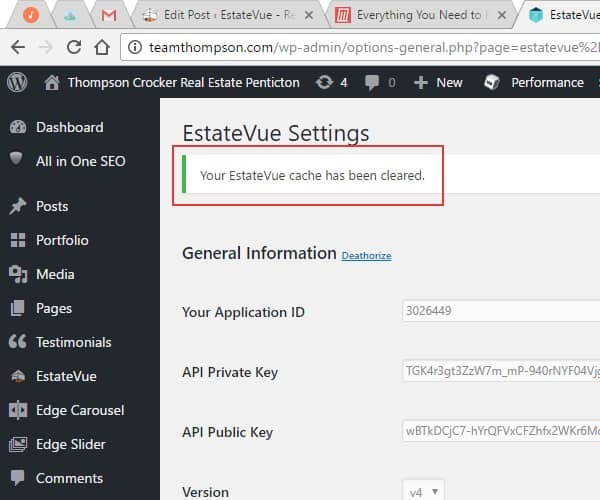 Once this process has finished you will see a notification at the top of the page letting you know that the cache has been cleared. 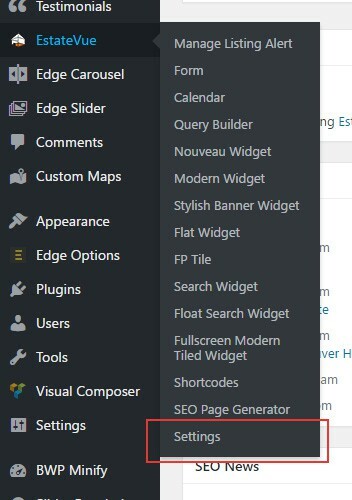 Now go back to the front end of your website to the listings page. Refresh the browser and your listing updates should now show up.